While watching the new live-action remake of The Jungle Book, I couldn’t help thinking that there was another animal based series which could do with a big-screen, CGI re-imagining. When I was a kid there was a BBC TV show called The Animals of Farthing Wood. It was a simple show about a group of animals who find their forest under-threat from land developers about to tear down their habitat and make a new housing development. The animals who live in this forest undertake a journey to a national park called “White Deer Park” and the series followed this adventure. So far, so ordinary and done before but there was something special about this story. For starters, the characters were brilliantly defined. Fox was the hero, the leader who would risk all to save his friends. Badger was the wise adviser, keeping everyone in check and motivated while there was some evil in the group in the form of the snake (adder), who was always waiting for her chance to eat the smaller animals. That was the second aspect of the show which worked. The animals had to work together to get to the White Deer park. Their journey would take them across rivers, farms, urban areas and in one quite nail-biting and memorable episode, a motorway (freeway) to get to their destination. The animals made a pact at the beginning of the journey not to eat each other but to cooperate instead. That didn’t mean there wasn’t danger and most notably deaths in the show. The series wasn’t your usual children’s animated series and was actually quite a thrilling and dramatic show. Characters who were developed and considered “main” were regularly killed on the journey, in a Game of Thrones “no-ones safe” style. It made the series exciting to watch, as well as adding some peril to the overall journey. There was even individual character arcs, especially for characters like Fox who found themselves detached from the group and having to make their own way back to safety. Even after the first season had ended, the show continued. 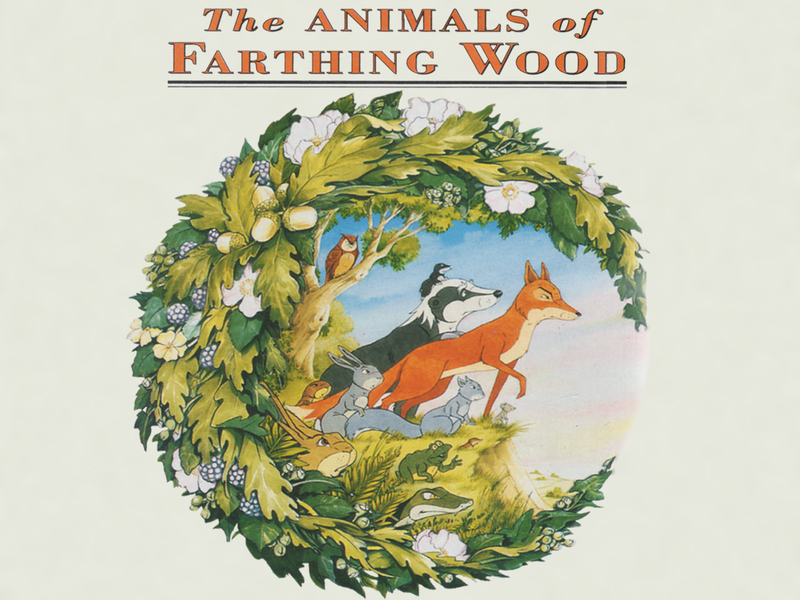 The Animals of Farthing Wood weren’t necessarily welcome in their new home and the next two seasons would follow their story as they adapted to their new environment and dealt with new challenges and threats. This is why the series would be perfect for a CGI/real life remake. The technology has moved on enough to bring the series to life properly and introduce these characters to a brand-new audience. It has a long-arcing story which would easily fill a ninety minute to two hour movie, as well as at least two more stories to cover any sequels. The story is also a decent, more mature one. It would be a different approach to a “kid’s film” than many others. The Jungle Book demonstrated that a more dramatic story can work when aimed at a younger PG audience and The Animals of Farthing Wood could deliver that too. Overall, for many British kids, The Animals of Farthing Wood will be a fond memory from their childhood. There is a ready made audience for a movie remake and the technology has moved on to do the tale proper justice. The story is written, all it would need is bringing to the screen and the campaign starts here. I’m sorry, but I respectfully disagree with you that The Animals of Farthing Wood needs a CGI remake. Why does everything have to be remade into CGI/live action?! Just because technology has improved a lot in the last 20-30 years, it doesn’t mean that we have to remake everything that is already perfect just as it is. Fully hand drawn animated films and TV series are very rare these days. Disney has pretty much given it up in favour of CGI and live action, and most kids shows are now produced by CGI. I felt so privileged growing up in the 90’s. I got to view many classic children’s shows that were hand drawn. The Animals of Farthing Wood was, and still is, one of my favourite animated series of all time. It was beautifully drawn and animated, given the limited budget it must have had. The voice acting was sublime as well. I cannot imagine anyone else voicing my favourite characters, especially the late Ron Moody, who voiced Badger, Toad and the Great White Stag amongst many others. I get that people want to re-release a classic to current and future generations, but I’d much rather, if I ever have kids of my own, to show them the original. The animation still holds up to this day. Why do you think kids still watch Snow White and the Seven Dwarfs, Bambi, The Lion King etc.? Such animation is timeless. On a side note, It’s funny you should mention that The Animals of Farthing Wood should get the CGI treatment, when another classic, Richard Adams’s Watership Down is actually getting just that by the BBC and Netflix. This comes just weeks after many parents complained to CH5 for showing the classic 1978 animated film on Easter Sunday afternoon because of it’s intently dark and violent nature. They thought their kids were going to see cute fluffy happy bunnies but instead got bloody fights and rabbits dying and now their kids are traumatised. These people must have been living under a rock if they did not know the story of Watership Down. CH4 had been airing the film for many years previously and no one had made a sound. I watched it as a kid many times and it affected me deeply, but I was never traumatised. I just sat in awe and cried and it, along with The Animals of Farthing Wood started by deep affection for wildlife and why we must protect it. I also read the book many times. But the thing is, Richard Adams never intended the book to be just for children. He wrote it for everyone. The same goes for the film. In fact, they are both far more targeted to adults than children, but that doesn’t mean children can’t watch the film and read the book. If parents can let their children watch Bambi mum’s die, then surely Watership Down isn’t that much more upsetting? So this new adaptation is going to be toned down in the violence department, and given more precedence to female characters (though that was already done in 1999-2001 when it was made into a somewhat similar format series to AOWF), but that’s not the point I want to make across here. My point here is that they could easily do that again and still make it hand drawn. Just because pretty much everything is done by CGI these days doesn’t mean kids can’t enjoy the hand drawn animated style. They still love The Lion King and Aladdin, so why not the original Animals of Farthing Wood? The issue is that it isn’t being shown to children these days. It is not an accessible TV series so the only way to get the great story and well-loved character across to future generations is to remake them. I wasn’t thinking purely CGI either. I was thinking more like the new Jungle Book with photo-real animation, almost like we are actually watching these animals in “real life.” I don’t think everything should be CGI but presenting stories and entertainment in the most real and accessible way is something I advocate. Plus, your example of Watership Down also helps prove my point. Just because something has been remade doesn’t make the original obsolete. Watership Down has already been remade but that didn’t mean people forgot the original. If anything, remakes actually make more of an audience aware of the original. Imagine the adults able to show their kids the original series because their children fell in love with a newer version. New doesn’t have to replace old, it can enhance it instead. It would certainly be something to see this story told in live action. I remember wishing for such a remake ever since seeing the live action version of 101 Dalmations! Sadly, however, this is not a creative property I can see getting much financial backing to develop it at this time. It would take so much money to produce and won’t be a big hit if ever released. It was never crazy popular in it’s heyday anyways. Just a modest success that captured the imagination of a few, not an entire generation. Back in the early 2000’s when the internet started to blow up, there seemed to be a blip of nostalgic fan interest online generated by the generation of 90’s kids who grew up watching it, but it remains too much of a niche (dare I say, geek) property to gain any traction in the current entertainment arena to culminate in any kind of remake. Enjoy it for what it was. A bit of nostalgic buzz. If this was to be remade It has to be done right. No cgi movie. Cos well Okay that could work but the cgi wouldn’t be that great but if animated then it has to be toon. Id want to see it where the animals arent walking and gesturing like humans.. and be true to the book here Kestrel was a male. In the Tv series in 1992 Kestrel was drawn a male but was a female.. Adder was a male in the book .. This should be done properly. If this was to be remade It has to be done right. No cgi movie. Cos well Okay that could work but the cgi wouldn’t be that great but if animated then it has to be toon. Id want to see it where the animals arent walking and gesturing like humans.. and be true to the book, where Kestrel was a male. In the Tv series in 1992 Kestrel was drawn a male but was a female.. Adder was a male in the book ..The hedgehogs never died on the journey to White Deer Park This should be done properly. and follow closer to the book. If I had the art skill, my sister does though, and I knew how to get into production Id get this all started. Its who’d wanna buy it though BBC certainly wouldnt.. TBH thought even thought Id wanna see it done right, you can spoil the original. I like the idea of keeping the animals as animals but I couldn’t see it working for mass-audience appeal. Its a great story, it may just fall into the pack of other CGI animal movies which come out each and every year. I have to say that I think that a remaster/remake of AOFW is a brilliant idea. I wouldn’t mind watching it. Thanks. They’re remaking Watership Down for Christmas so this feels very timely. I just watched the animals of farthing wood for the first time recently and I think having it remade but having the same charm and feel to it would be great but I fear that a remake would make the people working on it more tempeted to mess with the charaters and plot. If they made a remake like the hxh remake where its basically the same exact thing but just with a better animation quality I would love that. Yes CGI has come a long way but I don’t it would work for remake of AOFW nor would it work as a movie. Mostly because they’d rush things and cut characters out to save time were they to make it into a movie. I much prefer it if they remade it into a cartoon or tv series, not using CGI of course. Reason why I prefer they don’t use CGI is simply because well… CGI for the animals will have limited expression which was part of the charm it had. The animals looked cute but some were still able to look menacing, and the expressions they had helped connect the characters and worked well for any comic-relief. And we’ve seen some companies use low quality CGI to save money or because budget issues it was cut down. I mean look at Watership Downs 2018 remake if you want an example of bad CGI. At least and an animated 2d cartoon they can have a good quality of animation and keep the characters having expressions. Hell they can get the characters to be more expressive and better animated than they were in the original. AOFW did have good animation for it’s time and still has it’s own charm to it. But I feel were they to remake it now with much better 2d animation it’ll attract new and old audience members to it. I hadn’t thought about a straight remake but that wouldn’t be a bad idea. With Watership Down recently remade (although I haven’t seen it yet) the idea of a Farthing Wood remake did get me thinking again. Good points about the CGI though.